What Are the Risks of Back Surgery in Redwood City, California? Most of us don’t really appreciate our back and all that it does for us; that is until every move we make causes pain which is usually severe; at this point you’d almost do anything to relieve the pain. The muscles, bones and joints that make up the back are among the body’s most important support systems. When any portion of that system is weakened, out of alignment or damaged, it becomes more difficult for your back to bear your weight. The main reason for back surgeries is to get pain relief and for some people, the result is less pain which comes with additional benefits that included less need for pain medications which means fewer side effects (including addiction), improved physical fitness, being able to get back to work and be more productive, and improved mood. Severe back pain definitely has a negative impact on quality of life which is why those who suffer from it often opt for any treatment that will relieve the pain and knotted back muscles. 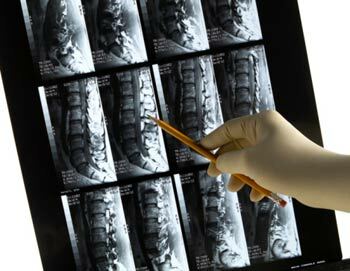 In one study, researchers reviewed records from 1,450 patients in the Ohio Bureau of Workers’ Compensation database who had diagnoses of disc degeneration, disc herniation or radiculopathy, a nerve condition that causes tingling and weakness of the limbs. 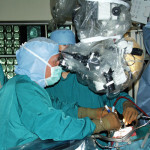 Half of the patients had surgery to fuse two or more vertebrae in hopes of curing low back pain. The other half had no surgery, even though they had comparable diagnoses. So although many people who decide to have surgery are looking to reduce the amount of painkillers and return to work, this research is indicating that surgery may not be the best approach, even in severe situations. Having back surgery can be a tough choice and in many cases, people only consider surgery after they’ve tried everything else without finding relief. Sadly, surgery doesn’t always provide significant pain relief for everyone. Learning about back surgery ahead of time and finding out as much as you can about its benefits and risks will help you decide if it’s the best option for you. Most people who are considering back surgery are unaware of Failed Back Surgery Syndrome, a condition when a person experiences more pain and problems after their surgery than before. There are also other significant risks including having a reaction to anesthesia or various other drugs, infection, bleeding, blood clots in the lungs or legs, stroke, heart attack, recurrent disc herniation. Even worse, back surgery can cause nerve damage, which can result in pain, paralysis, loss of bladder or bowel control and sexual dysfunction. The risk associated with back surgery can depend on the kind of surgery and some people are at a higher risk than others. 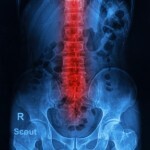 Part of the surgeon’s job is to identify the potential problems that may occur with back surgery. Consulting with your physician before having surgery is the best way to understand your personal risk. You’ll want to keep in mind however that research has shown that it’s difficult for surgeons to predict who will benefit from the surgery and who won’t. Because it’s difficult for surgeons to predict the outcome of surgery, medical professionals highly recommend having non-surgical approaches before considering back surgery that includes upper cervical chiropractic care. Upper Cervical Chiropractic doctors focus on the cause of the back pain, not the symptoms themselves by locating and eliminating disturbances to the nerve system. The ultimate goal of upper cervical treatments is to get the spine back in alignment, correct postural problems and address the underlying cause of the pain. By addressing the problem that’s affecting the upper cervical area, the body can heal itself naturally without the need of potentially dangerous drugs or surgery. The upper cervical chiropractic approach requires no popping, cracking or twisting of the spine common with general chiropractic manipulation. This approach focuses on rebalancing the entire spinal column and not just addressing the compensations that are frequently the focus of surgery and other approaches. To find an upper cervical chiropractor in your area go to www.upcspine.com or if you are in the Redwood City, California area to schedule your evaluation, click here.